Never knew such species existed until I saw them posted in the stocklist in my local forum. 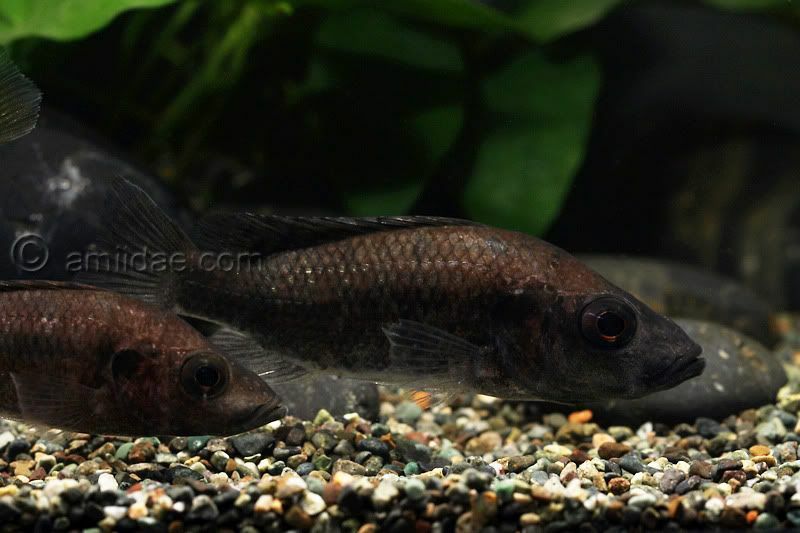 They are like Altolamprologus that live outside of Lake Tanganyika. very interesting native of of Barombi Mbo, Cameroon. now that a beautiful fish!!!! Kuna, this is no monster size fish. Average abt 3.5 inch. Stomatepia pindu are endemic to Barombi Mbo, West Cameroon. There are several such crater lakes along the African Pacific coastline that were formed thousands of years ago by inactive volcanoes. The climate is tropical (25 - 27 C / 77 - 80.6 F). "Lake Barombi Mbo is a small lake only 2.5 kilometers wide, but 110 meters deep. As there is no large current to turn the water, only the top portion (40 meters) contains acceptable oxygen levels to harbor vertebrate life. 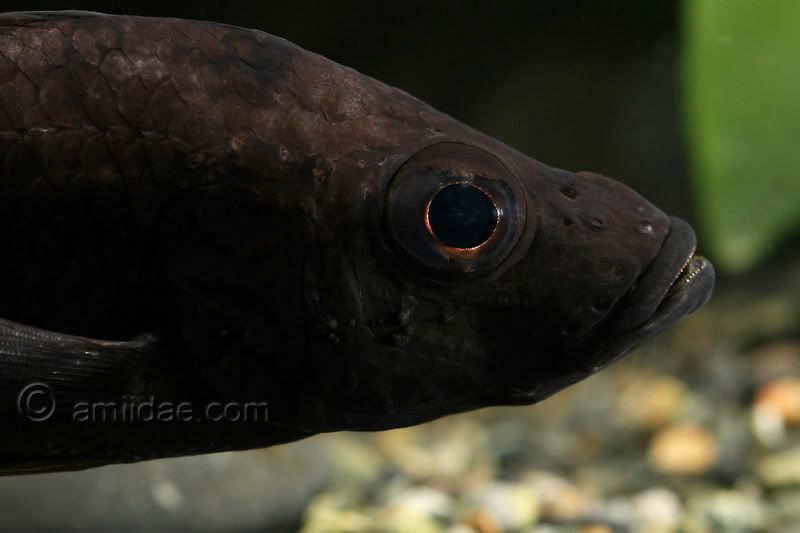 Still here, a rich mostly endemic group of cichlids (and other fish) have evolved." Are they stay in a group !! Another dwarf one. Very nice! Africa has a Pacific coastline? Never ever heard of these fish either. Are they mouth brooders? 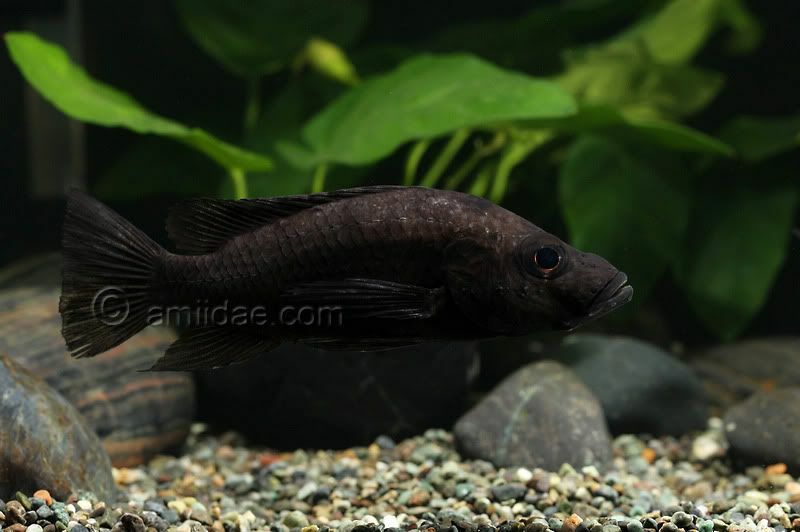 Nice Are they completely black in colour..
Rare collection, loved the last closeup shot. As read on the internet, they are mouthbrooders & complete jetblack color indicates prime health. Q:whats the white layer on their lips ?? ?